A novel very popular in its day, but one that is less well known to the general reader than it deserves to be. 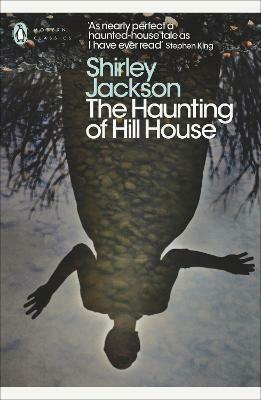 Four characters arrive at the rambling, unkempt, threatening Hill House: Dr Montague is a scholar of the occult, looking for evidence of psychic phenomena; Theodora, his light-hearted assistant; Luke, adventurous and curious, who is due to inherit the estate; and Eleanor, a solitary and fragile young woman with secrets in her past. Immediately, they are beset with inexplicable, chilling occurrences, beyond their control and imagination and experience. Hill House itself appears to be alive and gathering strength, waiting to claim one of them as its own. Chilling, Stephen King described it as one of the finest horror novels of the late 20th century. Jackson's fifth novel is an unnerving piece that casts a spell on its readers as well as its characters. Dr Montague assembles a group of people whose lives have been touched by the paranormal to stay at the eponymous Hill House, a building with a morbid history and a mind of its own. Our narrator, Eleanor Vance, seems to have a close connection to the house, and begins to succumb to its enticing powers. The horror is insidious, internal and consuming.